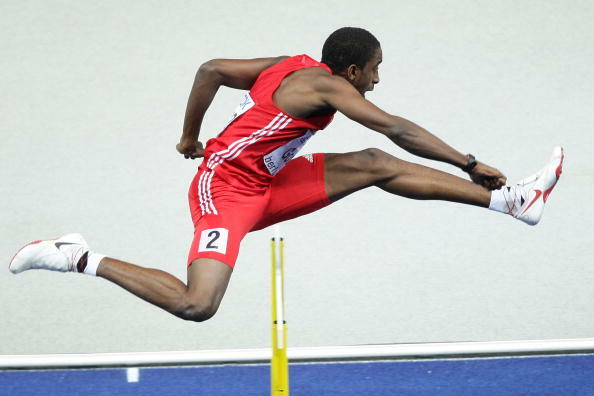 Port of Spain (Trinidad), July 28 (IANS/CMC) Trinidad and Tobago’s national 400 metres hurdles champion, Jehue Gordon is considered the country’s best medal hope at the IAAF World Championships to be held in Moscow Aug 10-18. National Association of Athletics Administration (NAAA) president Ephraim Serrette said Gordon represents the best chance of Trinidad and Tobago medalling at the global event, reports CMC. “His programme seems to be on schedule and he is on target (for the Championships). Yeah (he represents our best chance), Kelly-Ann (in the Women’s 100m event) and our relay teams too,” said Serrette. Gordon won the 400m hurdles at the Monaco Diamond League in 48.00 seconds, the third fastest time for the season, behind only American Michael Tinsley’s 47.96 and 47.98. However, Serrette wasn’t as revealing when asked about his expectations of reigning Olympic javelin champion, Keshorn Walcott. “What did we expect to see from him in London (at the Olympics)? I can’t predict what will happen (now). He had a good season opener (at the Twilight Games in Trinidad) with a throw of 84.39. He has been in Finland a while now and is getting some therapy to deal with a back injury. I hope he is healthy,” said Serrette. Overall, Serrette is optimistic of a good showing from the athletes once they can stay fit for their respective events.